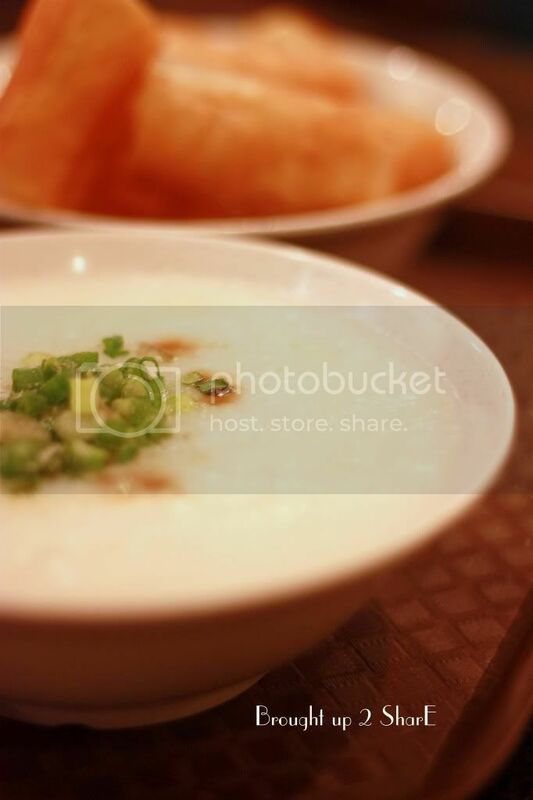 Not bad at all, the rice congee actually tasted good and smooth. What's best to match them with? 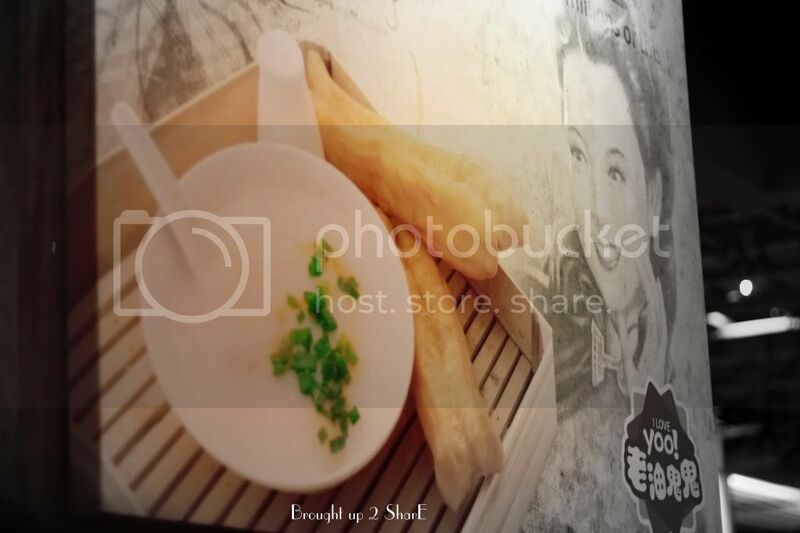 You tiao (油条)or yau ja gwai, sometimes known in English as Chinese cruller, fried bread stick or Chinese doughnut in Chinese cuisine is usually eaten for breakfast. But in our country it was more of a snack or light-bite. Conventionally, they are lightly salted, so they can be torn lengthwise in two. 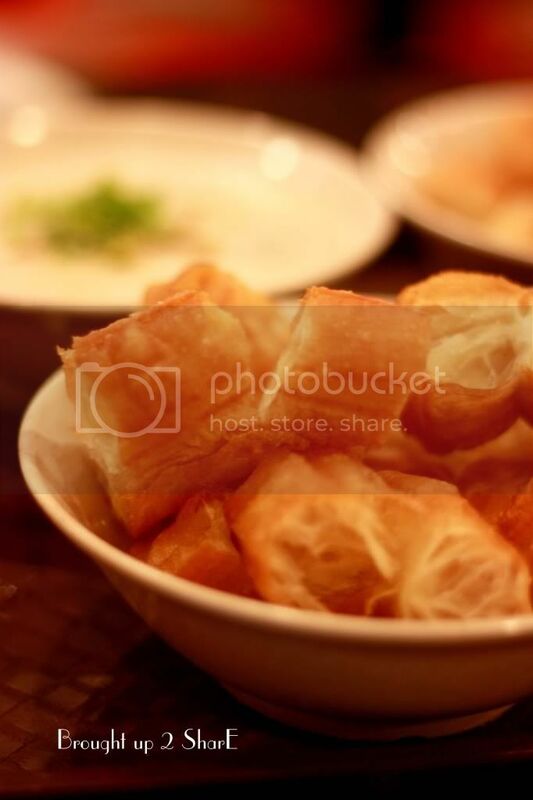 You tiao are normally eaten as an accompaniment for rice congee or soy milk. super comfort food! Love this sort style of porridge-nice find! 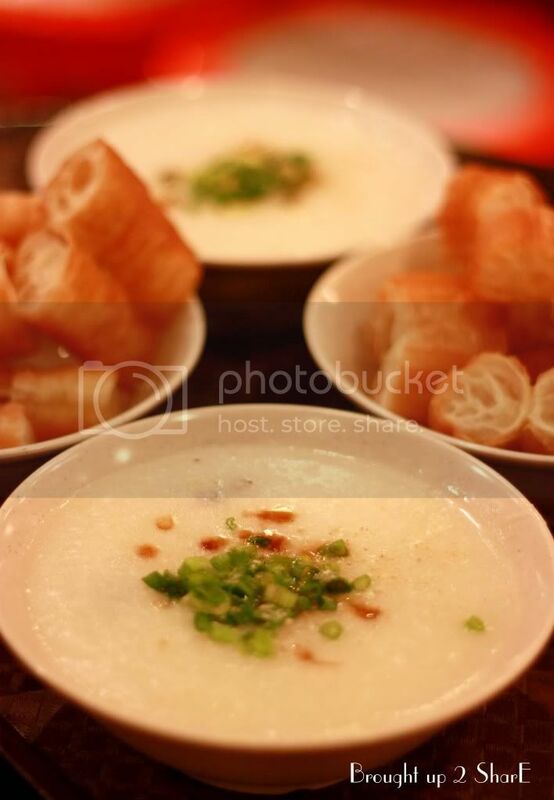 Yum... rice congee with you tiao is just so perfect! woo! 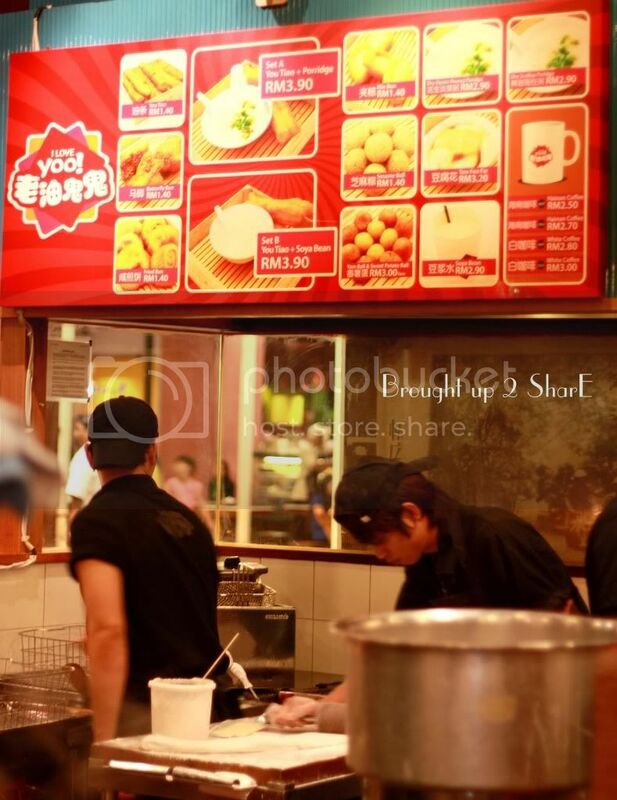 is his the same one at One U ole wing and sunway? Sound nice to have some thing light less oily! I would like to introduce myself as Paramjot Singh Khalsa. I am a Marketing Manager at Chayo Café, a Vegetarian café and a Yoga studio located at 50-1 Kelana Mall Jalan SS6/14 Kelana Jaya, Selangor Malaysia. 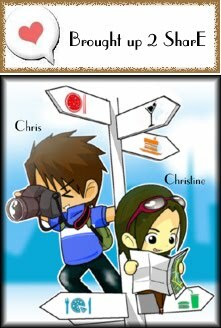 I have been reading your articles on your blog for a while and found out that your articles are really helpful for people to know what is going on in the city and keeping them aware of the trends. I would like to humbly invite you to come and try our meals and experience our friendly and cozy environment in which we offer a nice and healthy herbal tea which is imported from USA and Netherland. We also serve an organic Coffee such as Chayo Spice, Chayo Thai (a wonderful combination of Coffee with coconut flavor). Apart from those drinks, we also have nice smoothies, shakers and not to forget our lovely snacks. We have tasty varieties of Chat Snacks, such as, Samosas, Spring Rolls, Potato Onion Bhaji, Bombay Toast, Potato Pakora, Cheese Fingers, Tortilla Wrap with Salsa, etc. We also serve you with Northern Indian Lunch and dinner set and healthy western menu. just realiz i have not leave a comment here. haha. when i read about this yesterday, my first act was to dig the archive and search for my old photos about this place.sad case, i think i accidentally deleted it. aiks, i passed by many times, but somehow thought ... aiya, another kopitiam wannabe. but i still miss the soymilk + youtiao combo from HK. maybe i'll give this a try. But here they put dessicated coconut, my only gripe..else its lovely! still miss my Pg ones tho hehehe..
haha... u have too MUCH posts dear! dined in too many restaurants dy.. haha. 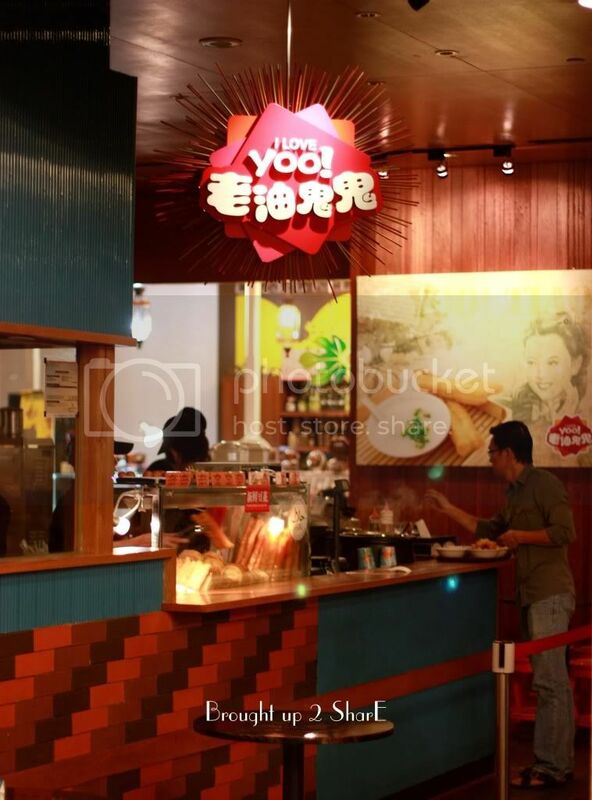 We shall drop by this place if we're there shopping again and crave for a light meal! they have another branch in SUnway too? oo... looks like they are everywhere. haha. we didn't get to try those! the potato balls finished... :( huhu.